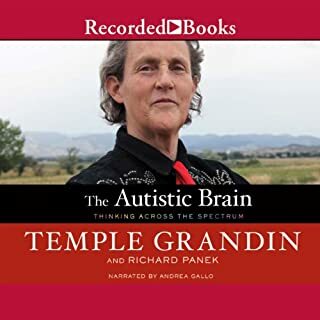 One of the world's 50 living autistic savants is the first and only to tell his compelling and inspiring life story and explain how his incredible mind works. Worldwide, there are fewer than 50 living savants, those autistic individuals who can perform miraculous mental calculations or artistic feats. (Think Dustin Hoffman's character in Rain Man.) None of them has been able to discuss his or her thought processes, much less write a book. Until now. At some point in nearly every marriage, a wife finds herself asking, "What is wrong with my husband?!" In David Finch's case, this turns out to be an apt question. Five years after he married Kristen, the love of his life, they learn that he has Asperger syndrome. The diagnosis explains David's ever-growing list of quirks and compulsions, his lifelong propensity to quack and otherwise melt down in social exchanges, and his clinical-strength inflexibility. But it doesn't make him any easier to live with. Toilet training can be a battleground for parents and children. In this book, the only one on the market dealing with the specific issues involved in toilet training children with autism, Maria Wheeler offers a detailed roadmap for success, based on over 20 years of experience. Simple lists offer over 200 dos and don'ts, along with more than 50 real-life examples. Written by Naoki Higishida when he was only 13, this remarkable book explains the often baffling behaviour of autistic children and shows the way they think and feel - about the people around them, time and beauty, noise, and themselves. Naoki abundantly proves that autistic people do possess imagination, humour and empathy, but also makes clear, with great poignancy, how badly they need our compassion, patience and understanding. 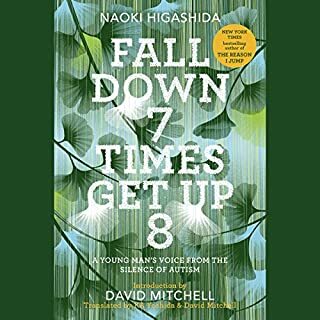 David Mitchell and his wife have translated Naoki's book so that it might help others dealing with autism, and generally illuminate a little-understood condition. Like The Diving Bell and the Butterfly, it gives us an exceptional chance to enter the mind of another and see the world from a strange and fascinating perspective. I didn't hesitate for a second in buying this book as soon as I heard about it. The insight that can be gained by being able to hear the words of a non verbal autistic child, is just amazing. He gives some really useful explanations to help other people understand his behaviour and feelings, and it is worth listening to for that. However, there are lots of times when he answers a question that explains what it is like for him, then goes on to say, autistic people like to do this, or autistic people don't like it when you do that, and that I found annoying. He is one, non-verbal autistic child. It is wonderful to hear him speaking for himself, but he cannot talk for autistic people in general. Some of the things he advised, completely contradict my own experience of raising autistic children. My children are verbal, so are able to tell me if something I am doing makes it harder for them. Naoki doesn't like visual timetables or information about places he is going to visit in advance, he says it spoils the surprise. That's fine for him, but please don't tell me that autistic people find them too stressful and enjoy surprises, my autistic children tell me otherwise. Parents, if you listen to this book, take on board his explanations of his feelings and behaviours, but don't just blindly take all his advice. Get lots of information from lots of places and see what works with your child. Chapter 10 - the last half an hour of the book was a complete waste to me. It's a story that he wrote about reincarnation. It's supposed to convey the difficulty in communicating when you can't be heard, but I just found it dull and irrelevant. I'm sure it's a lovely story, but I just wanted to get back to the question and answer bit, that I had bought the book for. Unfortunately, it never happened, so I did finish the book feeling flat. In many ways this is an amazing book, but I was left feeling disappointed. I chose this book as I have two very close friends who have autistic children. 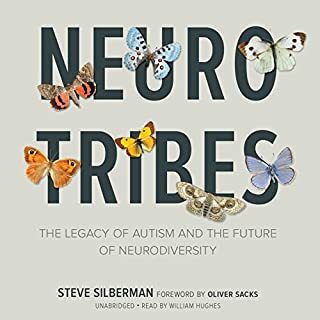 I've never appreciated how challenging this can be for parents with an autistic child more than after listening to this book. This really opened my eyes to what autism really is and how humour crosses with what is and isn't literal. This will make you both laugh and cry. I'd recommend this book for anybody who encounters autism in their lives. 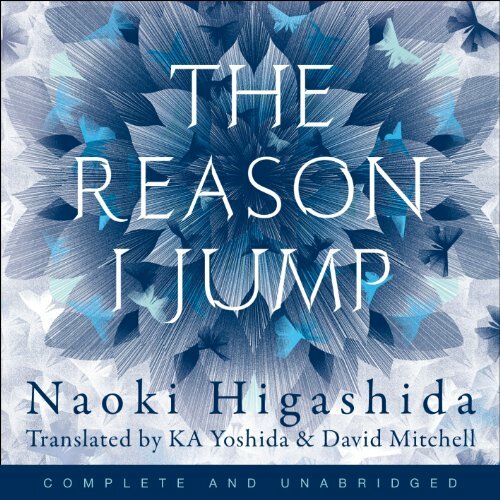 Would you consider the audio edition of The Reason I Jump to be better than the print version? I have never read the print version so am unable to comment. What was one of the most memorable moments of The Reason I Jump? The author has such an amazing insight on why he, and other autistic children, act the way they do, and how it is perceived by others, that I was able to gain an insight to my sons behaviour. What does David Mitchell and Thomas Judd bring to the story that you wouldn’t experience if you had only read the book? 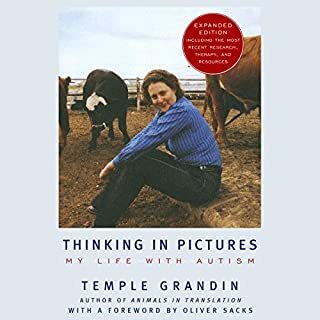 The story written by the author at the end of the book really demonstrates the authors grasp of emotions, which is something autism children are supposed to find difficult. This is a very short book, but filled with one insight after the other. 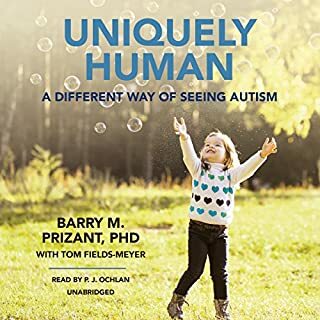 This book will not give you a blueprint of your autistic child, if that is what you are looking for, but will give you some insights on some of their traits. a must read for neurotypicals. particularly those with asd folks in their life. it's a short read and a great explanation... from an asd kid's point of view. I am highly functioning person on spectrum and I also had a privilege to work with people on spectrum in the past 4-5 years. This book not only confirms everything I knew about this condition but also puts a nice fresh spin on it at times. It's brilliant writing. I am glad that his voice has found it's way out. Sadly not many people working with people on spectrum are willing to educate themselves about this condition and often make their life harder (not only by using schedule boards of course). I hope we will hear more from this talented author! 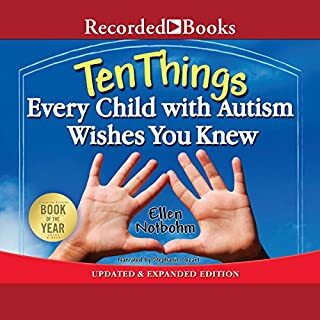 This book should be part of autism training imo. Would you listen to The Reason I Jump again? Why? A fantastic insight into the life of a youngster with Autism. Cleverly written and well read. As a parent of an autistic child I found this an interesting insight in to the thoughts and struggles of this young boy. I know how no two autistic people are the same but nonetheless I found a lot of parallels to draw with my own son.